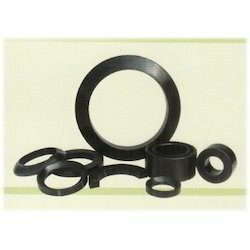 Pioneers in the industry, we offer carbon graphite & filled rings and spur gears ring from India. With firm commitment to quality, we are presenting a vast range of Carbon Graphite & Filled Rings. Offered product is examined by our quality controllers so as to dispatch a defect free range. Our product is manufactured by professionals using high quality material and advanced techniques in fulfillment with prevailing market trends. Clients can avail this product from us at competitive price. With the extensive knowledge and experience in this respective domain we are offering an extensive range of Spur Gears Ring. 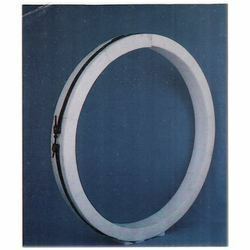 This ring is used in construction machinery, cement machinery and concrete mixtures. Our offered ring is valued in the market for its fine finish. The offered ring is manufactured under the supervision of experts utilizing superb quality material and advanced tools in adherence with prevailing market trends. Looking for Industrial Rings ?